Play Therapy Idea for clients in a custody battle. 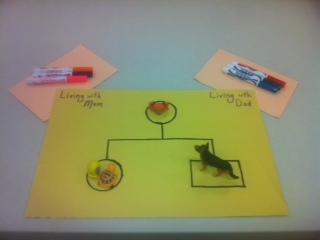 •	What made you pick the dog miniature for your father? •	The dog doesn’t look very nice. •	I see you picked two miniatures for mom. The mom is smiling. •	Why did you pick the turtle? I see he is smiling too. •	Did you know turtles move really slow but make a lot of progress? They are very patient creatures. Is your mom patient? We will have the child move the miniature of herself depicting if she was to live with her dad and have her process what that would be like. Next, we will have the child move the miniature depicting if she was to live with the mother and process what that would look like. Markers are provided in case the child wants to draw additional pictures or select more miniatures to depict the change in living with each parent. 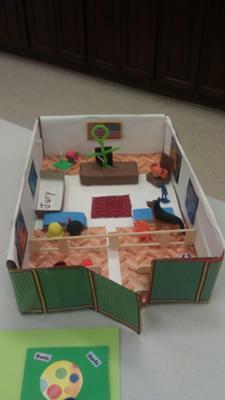 This part of the play therapy court room custody battle session would be focused on what the client can expect to see in the courtroom. 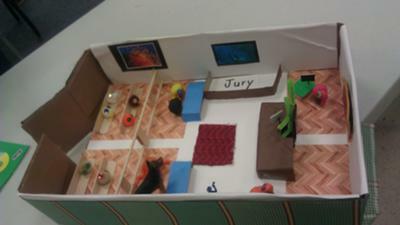 Using the miniatures the client select in Part 1, we would have the client explore the courtroom that we have constructed. •	What is a courtroom? •	What are the rules we must follow in a courtroom? •	What are the roles of the judge, lawyers, court reporter and deputy sheriff? This part of the play therapy session would be a role play activity where we have crafted 5 questions that are broad and progressive in nature to teach the child the difference between telling the truth and telling a lie. The purpose of this activity is to teach the client the importance of being honest when on the stand. The client has stated that she prefers to live with her mom. Given this preference, we don’t want the client to feel the need to tell an untruth regarding the father. 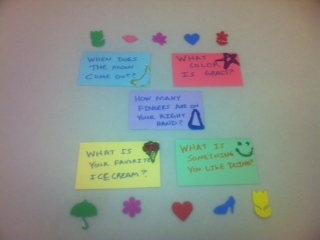 The questions are written on colorful index cards so that appears less intimidating. We have implemented a reward system by earning stickers for each question that is answered by telling the truth. We start out by asking the client the questions. On the next round, the client will ask the counselor the questions. The counselor will intentionally answer some questions incorrectly to demonstrate the negative consequence of not answering truthfully. This exercise also prepares the client to being examined and cross examined by the attorneys and judge. 1. When does the moon come out? 2. What color is grass? 3. How many finger s are on your right hand? 4. What is your favorite ice cream? 5. What is something you like doing?